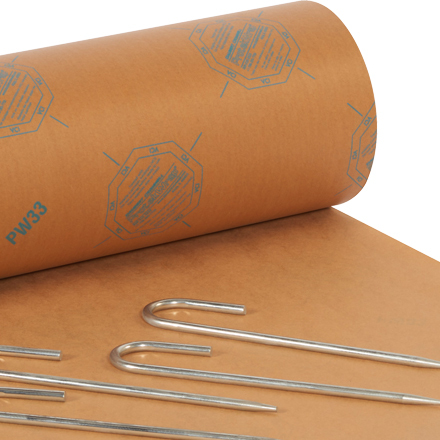 Use Volatile Corrosion Inhibiting (VCI) paper to cover or wrap ferrous metal parts or surfaces. Chemically treated paper continuously vaporizes creating an environment that blocks out rust, corrosion and oxidation. One square foot of VCI Paper for every one cubic foot of packaging area is recommended. Completely wrap for maximum protection.